Over 100 schools in Pennsylvania offer accounting degrees at various levels for students who plan to embark on accounting-related careers. The state is home to some notable accounting programs, such as the one offered by the University of Pennsylvania’s Wharton School of Business. The school has been ranked as first in the country and its accounting program was rated as 2nd nationwide by US News. 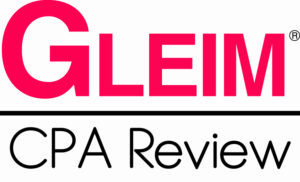 Other schools, such as Penn State University and Villanova University, have made the 2013 Public Accounting Report survey of accounting professors (25th and 44th place respectively). With such a wide range of quality educational choices and a high employment level in accountancy, Pennsylvania is a great place to start your accounting career. 0.4 How Much do Pennsylvania Accountants Make? In order to become an accountant you will need to master difficult skills, to pass challenging exams and to acquire experience working with clients and companies. The accounting program that you choose will open the gates to your career, so it is essential that you enroll in a quality program with a high graduate success rate. The program you choose should be AACBS-accredited and should provide a rigorous curriculum, opportunities for real-world experience and challenging assessment. Have a look at student evaluations and graduate employment rates in order to gauge the quality of the school. Another important clue is the program’s pass rate on the CPA examination – make sure you have a look at the most recent statistics. A good program will help its graduates succeed on the examination and find a job soon after graduation. You should also research the placement opportunities offered by the program through on-campus student organizations, internships and connections to local and national firms. Look out for big firms that regularly recruit graduates of a certain program, as this is often an indicator of the quality of an accounting school. The choice you make can have a strong impact on your future, so always shoot for the best and inform yourself thoroughly before applying. If you feel at home in the business environment and you have an analytic mind, a career in accounting might be right for you. Accounting is a rewarding field that offers plenty of opportunity for success and development. So how do you get started? As a minimum of a four-year Bachelor’s degree is required in order to become an accountant, you will need to take the important decision of which accounting program to attend. You will also have to plan ahead and decide if you want to become a Certified Public Accountant (CPA). While you can work as an accountant without a CPA license, the certification will broaden your employment opportunities in the public, private and governmental sectors, as well as qualify you for better pay levels. If you decide to become a CPA, you will need to meet additional educational requirements amounting to 150 semester hours in most states in order to qualify for the CPA examination. After you have passed the four sections of the exam, you will have to acquire a certain amount of experience and to pass an ethics exam before you can apply for your CPA license. Becoming successful in the field of accounting takes time and effort and requires both academic and professional skills at the highest level. It is thus essential that you attend a good accounting program that can prepare you for a challenging career path. The Pennsylvania accountancy board requires candidates for the CPA exam to have completed 120 semester credits at an accredited institution, including at least 24 credits in accounting, business and finance courses. However, in order to be issued a CPA license, candidates have to earn 150 semester credits including 24 hours in accounting courses. They also need to acquire one year of experience (1,600 hours). 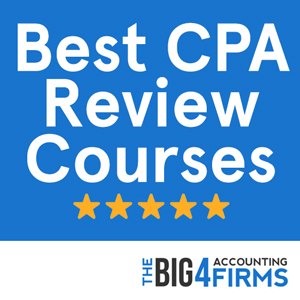 It is possible for candidates to apply for CPA certification even if they have not completed 150 credits, provided that they hold at least two years of experience in accounting. How Much do Pennsylvania Accountants Make? Pennsylvania is among the top 5 US states in terms of accountants’ employment level. With an average annual salary of over $70,000, Pennsylvania is one of the best states to be an accountant, although average wages are lower than in the neighboring New York and Virginia. With many businesses concentrated in metropolitan areas such as Philadelphia, the state offers great opportunities for accountants: the average annual salary for accountants is $78,000 within the Pennsylvania Metropolitan Division. Salaries in this profession also tend to rise significantly with experience and skills. With good employment levels and quality educational programs, Pennsylvania is a place where skilled accountants can thrive. Founded by industrialist Joseph Wharton, the Wharton School of Business was the first university business school in the world and has consistently been rated as the best in the country. The school’s accounting department offers a multidisciplinary approach that prepares students for applying accounting skills to different business environments. Accounting studies can be pursued at all levels at Wharton School – undergraduate, Master’s level (MBA) and PhD. The four-year undergraduate program teaches essential skills through its rigorous curriculum, while the Master’s program provides an in-depth understanding of accounting data generation and its reliability. The program allows students to qualify for the CPA or CMA certifications by undertaking additional coursework, which can take the form of a fifth year of study. Connected to a thriving business environment, the prestigious accounting program at Wharton School can give you a head-start on your career as an accountant. Flexibility, multidisciplinary and effectiveness define the program, whose students achieved a CPA exam pass rate of 73.2% in 2012. 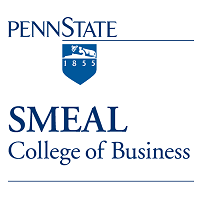 Ranked 21st in accounting by US News, the Smeal College of Business at Pennsylvania State University offers one of the top rated accounting programs in the country. Options for prospective accountants include an undergraduate major in accounting, a Master of Accounting degree and an integrated Undergraduate-Graduate Master of Accounting. Both of the latter programs are tailored to qualify students to sit for the CPA exam. Penn State also offers an Accounting PhD program. While the CPA pass rate of Penn State graduates is average, the school reports a 95% rate of student employment at the time of graduation from the Master of Accounting program. The “Big Four” accounting firms (KPMG, Deloitte, Ernst & Young, PricewaterhouseCoopers) are known to regularly recruit Penn State graduates. The combination of courses preparing students for the CPA exam with valuable internship experience and networking opportunities makes the Smeal College of Business an attractive study option. The accounting program at Villanova University was rated as the 40th best in the country by Public Accounting Report in 2013. This well-regarded school ranks first among Northern regional universities according to US News, while the MBA program within its School of Business has made national rankings. Students can opt for an accounting major or minor in addition to the business and core curricula. The undergraduate accounting program at Villanova University spans topics such as intermediate and advanced accounting, tax, auditing, information systems, international accounting, fraud examination and cost accounting. If you are looking to embark on the CPA track, you can choose between several graduate degrees at Villanova University. The Master of Accountancy is a unique hybrid program featuring an intensive 12-week summer semester on campus and flexible online spring and fall semesters. Thus, students may complete the degree in 12 months while balancing work commitments. Depending on your career goals you may also be interested in the Master of Taxation, the Master of Science in Finance or Analytics or the prestigious Villanova MBA program. Lehigh University graduates had the highest first-time CPA exam pass rate in Pennsylvania in 2013. Whether you’re interested in becoming a CPA or not, the AACSB-accredited accounting department at Lehigh University has all the resources you need to start a career in accounting. The university is ranked as the 40th among national universities in the U.S. News report. The accounting program offers a blend of rigorous teaching and hands-on experience gained through programs, conferences, accounting societies and the interactive Segal Speaker Series. Accounting students at Lehigh University can pursue an undergraduate major in Accounting and a Master of Science in Accounting and Information Analysis within the College of Business and Economics. The latter is focused on business solutions and allows students to choose a concentration in accounting or a related area. Lehigh students typically participate in lucrative internship programs and secure employment with major accounting firms.